Mirca Lotz is a curator and project manager based in Munich, Germany. With her creative agency [fwd: like waves] she promotes live music events – often in in off locations and public spaces: from the riverside to the factory where the orient express was built. Creating extraordinary events by adding lights and decorations and transforming the mere spaces into something beautiful. Mirca additionally curates and produces shows and events for Filmfest Munich, the city of Munich and many others – often bringing together arts, movies, poetry etc. with music and always hoping to add social value to events. In 2017 she was selected as a music innovator for the PRS Keychange project aiming to transform the music industry into a more gender equal one. 2017 she co-founded the We Make Waves festival for learning, sharing, connecting and exchange for women* in the music industry and connected creative fields. The festival won the Listen to Berlin Instigator award of the Berlin Music Commission and was also nominated for the VUT VIA Award 2018. 2018 she co founded musicBYwomen the second from 16 federal German networks for women* in the music industry that aims to built a network as well as create visibility for female identified people in the music industry. December 2018 she conceptionalized and produced an event called „music is the ___ of the future“ – a festival about global equality and music in Munich featuring talks, workshops and more. 2019 she started working as a conference curator for the Munich based showcase festival Manic Street Parade as well as booking for the arts & tech Science & Fiction festival Munich. Always open to new projects and proposals! 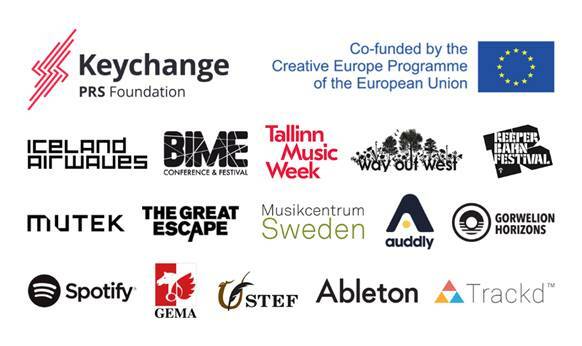 Mirca Lotz is powered by Keychange – an international campaign which is run by PRS Foundation and supported by the Creative Europe Programme of the European Union in partnership with Musikcentrum Sweden, Reeperbahn Festival, Iceland Airwaves, BIME, Tallinn Music Week, Way Out West, The Great Escape and Mutek.